Dr. Thomas G. Walker provides cosmetic dentistry in Trussville and offers a wide range of treatments to help you achieve a smile you can be proud of. 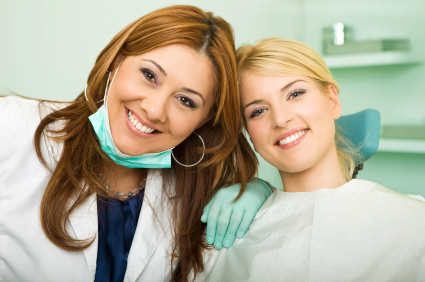 Our entire team is committed to the enhancement, restoration, and maintenance of your smile. Few of us are born with perfect teeth and even those with an ideal smile may experience staining due years of consuming dark liquids or from lack of proper dental care over time. If you would like to know more about cosmetic dental services in Trussville, give the dental office of Thomas G Walker DMD, a call today. Whether you desire brighter teeth, a more uniform smile, or both, Dr. Walker starts by assessing the status of your current oral health and designing an individualized treatment plan for you. After any necessary corrective care is completed, you will be ready for your cosmetic enhancement to begin. Teeth Whitening With the LumiSmile® professional take-home system. These custom trays deliver a highly effective whitener that can lift even intrinsic stains. This advanced whitening system was specially formulated for superior performance with little to no sensitivity. Dental Veneers – With e.max® wafer-thin porcelain and ceramic veneers you have chosen one of the most durable veneers on the market. These prosthetics permanently cover natural teeth are misshapen, resistant to whitening, or mildly misaligned. Implant -Supported Teeth Replacement –This treatment goes beyond being a purely cosmetic solution and restores close to full dental function for those who are missing teeth. We offer a choice of traditional implants and mini implants for qualified patients. Dr. Walker walks you through your treatment options and explains how each procedure works. You may wish to opt for one treatment or a full smile makeover, which is a combination of services such as teeth-whitening`, veneers, one or more implants, or any plan of care that you and Dr. Walker decide is best for you. Whether you want dental veneers in Trussville, teeth whitening or a combination of several services Dr. Walker can help you. He works hard to meet the needs of his patients by listening carefully to your concerns and expectations. When it comes to improving the look of your smile, Dr. Walker understands it’s more than mere aesthetics that are involved. Having a smile you can be proud to show off, and being able to express yourself comfortably and openly, provides our cosmetic dentistry patients with a higher degree of confidence. Whether you want dental veneers, teeth whitening or a combination of several services Dr. Walker can help you. He works hard to meet the needs of his patients by listening carefully to their concerns and expectations. Call our Trussville cosmetic dentist to discuss any concerns you have about your smile, and schedule an appointment for a brighter, healthier smile today!